King Solomon, the wisest man who ever lived, wasn’t so wise with his love life. In all he had 700 wives and 300 concubines. Even worse, many of King Solomon’s wives were foreigners, something God prohibited because he feared they would distract his people from fully worshiping him. Unfortunately, just as God feared, King Solomon’s foreign-born wives did lead him astray and cause him to turn from God. As a result, Solomon ruined his legacy and consequently his son would lose the kingdom. 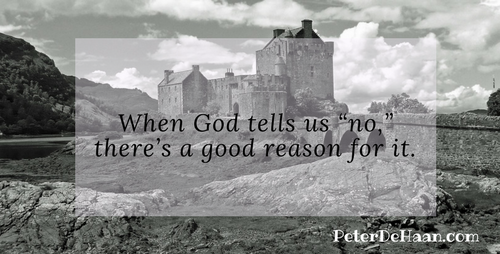 When God tells us “no,” there’s a good reason for it. Will we obey him or think we know better? King Solomon thought he knew better and things didn’t work out so well for him. Yes, may nothing distract us from what God tells us and calls us to do.